We have all heard that meditation is beneficial to calm our mind and body. However, to many of us it sounds daunting and we don’t know how to go about it. Here is a simple meditation that anyone can do, anywhere. Why should you consider meditating? Meditating can enhance the strength of our mind to cope with daily life with calm, clarity and greater freedom of choice. A calm mind allows us to make well thought out choices, rather than reactions. 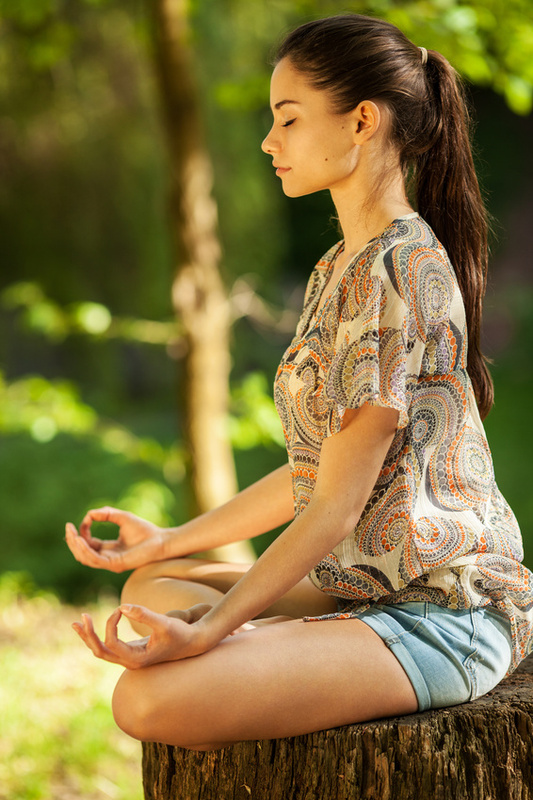 – Decide on a length of time to meditate (2 or 5 minutes, for ex.) and set a timer with a gentle bell. This will allow you to relax into it, and know you won’t go over or under your intended length of time. – Continue this to 10, and then start back at 1. Repeat until your time is up. Your mind will wander. This is where the work is and beauty is. – As your thoughts wander, notice them, let them be. – Notice how thoughts come and go, and are impermanent. – Notice how they are just thoughts. Notice how they are not significant events, or to be acted on. – Return to your breath of 1 in, and 2 out. Repeat this process until you reach your intended length of time. When you open your eyes take not of your hear rate, breathing, muscle relaxation, and calm and powerful mind.